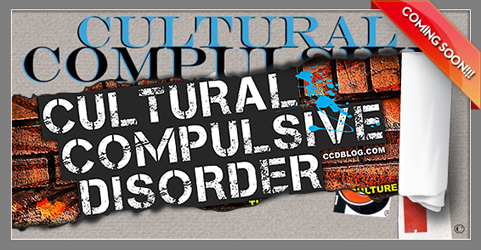 Cultural Compulsive Disorder: Coming Soon! CCD REBOOT! That's right… CCD is getting a facelift. We will still continue to give you our daily feeds. But in a few weeks, CCD will have a new and fresh look with our very own designer, Lockheed Lee. Here at CCD, we are amped and we hope you are too.. so keep an eye out and spread the word… because we're going to look soooo fly! Looking forward to the changes. To the top of the mountain for both our blogs. Thanks guys... Lock's getting it in!! !